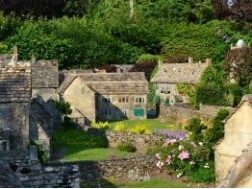 On August Bank Holiday Monday each year at 4pm, one of the Cotswolds' most quirky and iconic events, which attracts media attention at home and abroad, takes place in the centre of Bourton-on-the-Water. 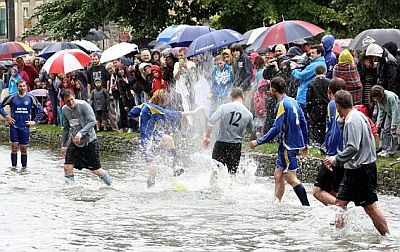 The usually calm River Windrush, which is six to 10 inches deep, is invaded by two teams of players from Bourton Rovers Football Club battling it out for victory in the annual Football in the River match. 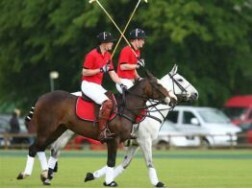 The traditional match dates back more than 100 years and attracts hundreds, if not thousands, of spectators who converge on the river's grassy banks in the picturesque Cotswold village to watch the match. Spectators come from far and wide to watch the match, and the crowd is usually Rovers' biggest of the season. It's a given that the players get a soaking but many of the spectators also get a drenching. 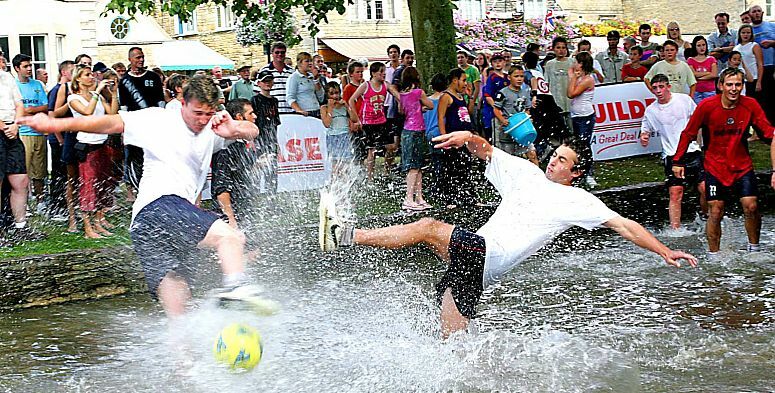 River football match organiser Matt Winter, of Bourton Rovers FC, said: "The game has been played for over 100 years now. 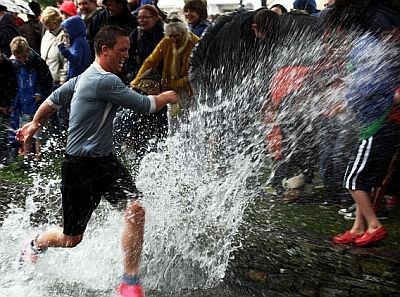 Rumour has it that it was started by some men who were bored, so to break the boredom they decided to jump in the river and have a kick about and it's carried on ever since. "The teams that play are Bourton Rovers 1st team v Bourton Rovers reserves, so there's a bit at stake in the bragging stakes. It's hard work - you ache for days and days after. 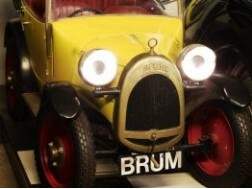 "We get average crowds of roughly 2,000 people, sometimes more, when it's hot weather. It coincides with the Bourton Rovers fete which is on the village green next to the river. The fete has stalls and games for kids and we also do duck racing in the river from 10am until the river football starts." 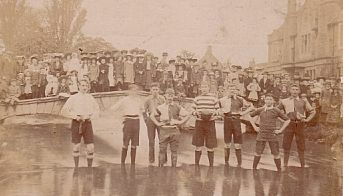 The annual river football match, which has been held as long as the club has been in existence, is regarded internationally as a typically quirky British event. "We also get TV companies from Germany, Japan and New Zealand turn up nearly every year to film it," added Matt. The 2017 Football in the River match is due to take place on Monday, August 28 at 4pm.